A neon snowman awaits the first snowflakes to stick to the ground. 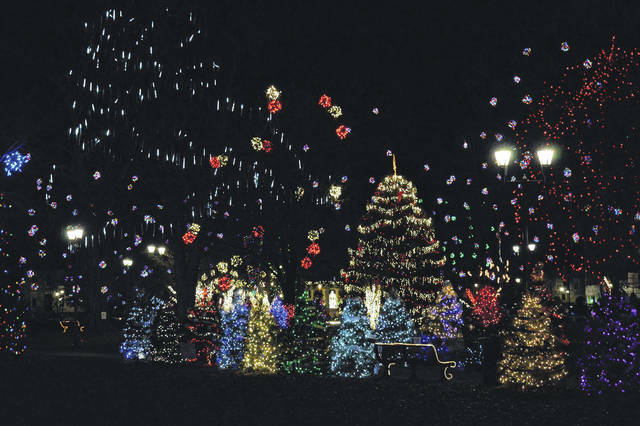 The Gallipolis in Lights Christmas Tree forest blinks in time with music set to a radio station. 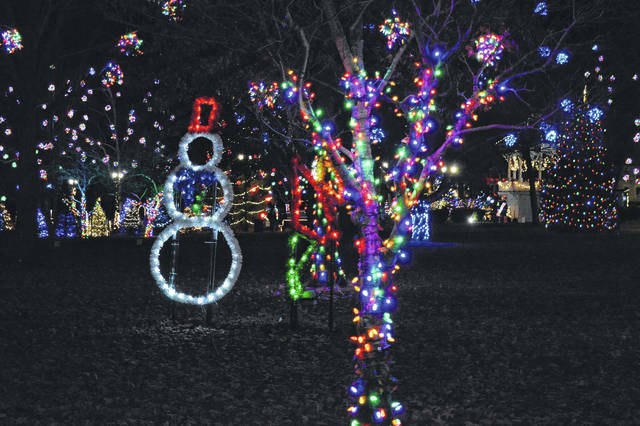 Light balls glisten and look over the rest of Gallipolis in Lights in City Park. 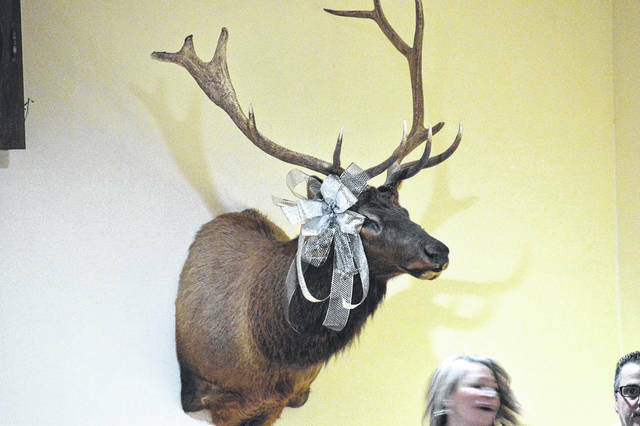 Around 1,300 have been hung this year. 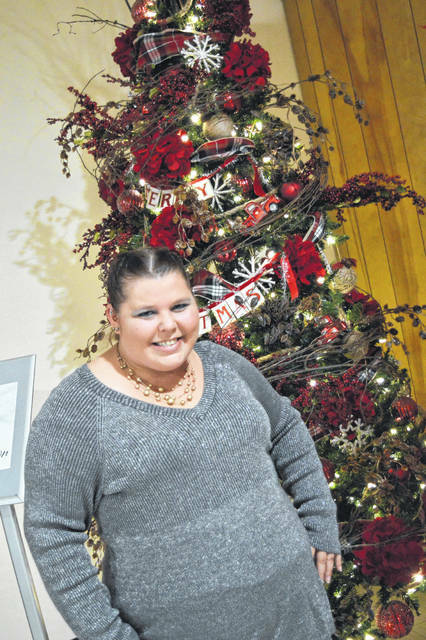 One young lady enjoys the Christmas decorations during the Gala festivities. Friends gather once again over the holidays for quick memories with the camera. Wife and husband smile for the camera, dressed in their best. 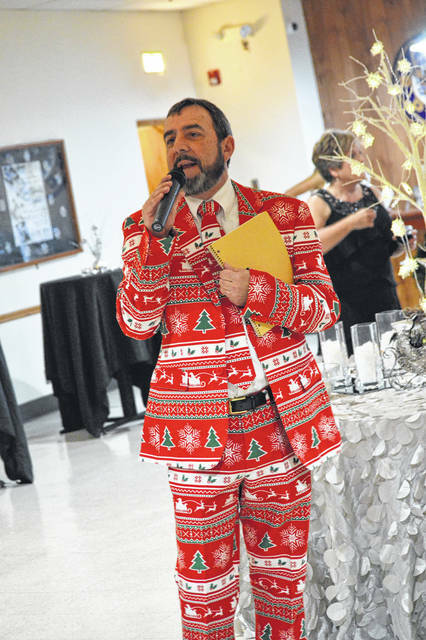 The emcee announces silent auctions and news for the diners. 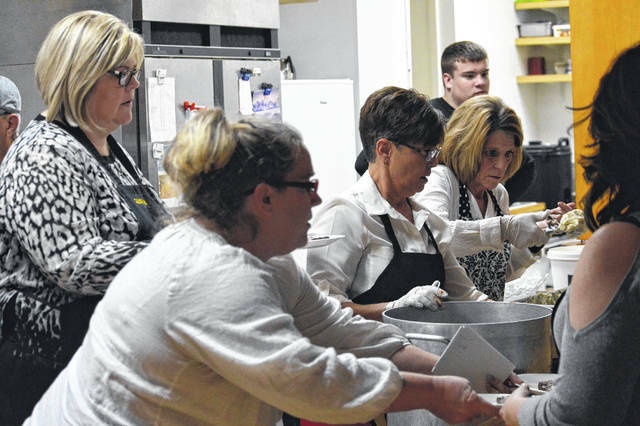 Volunteers prepare and pass out food during the Gala. 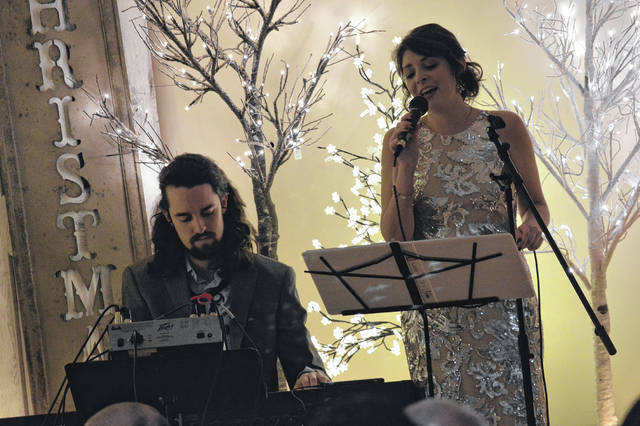 Justin Nelson and Bethany Steinhaus provided the entertainment for the evening’s festivities. 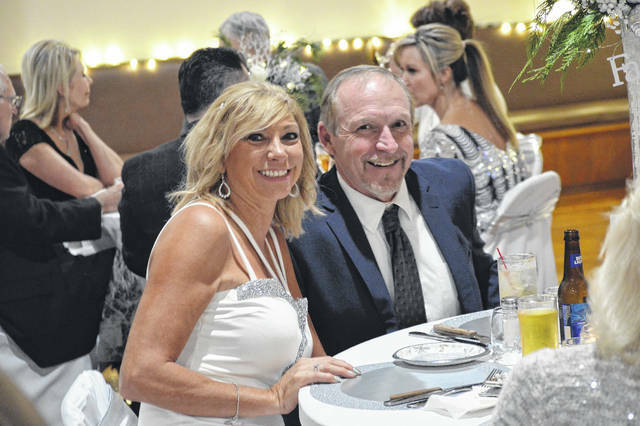 According to GIL Chairperson Shari Rocchi, around 200 individuals joined the Gala event Thursday evening. 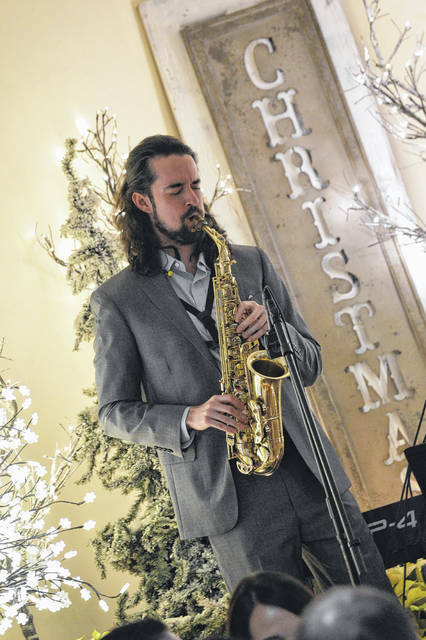 Justin Nelson, of Winston-Salem, N.C., jazzes up the atmosphere with his saxophone skills. 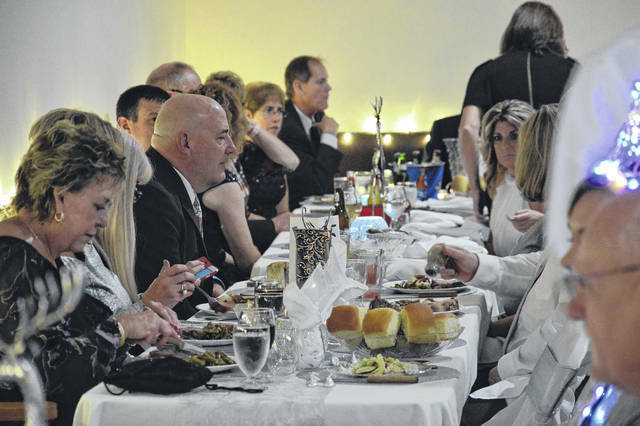 Area residents enjoy a dinner while listening to entertainment in support of Gallipolis in Lights. 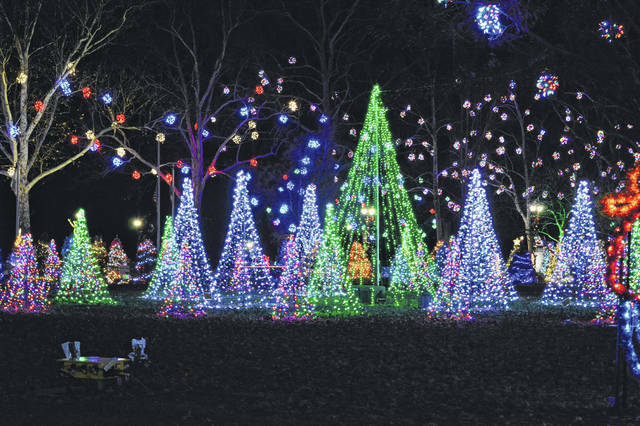 The Gala serves as one of Gallpolis in Lights fundraisers. 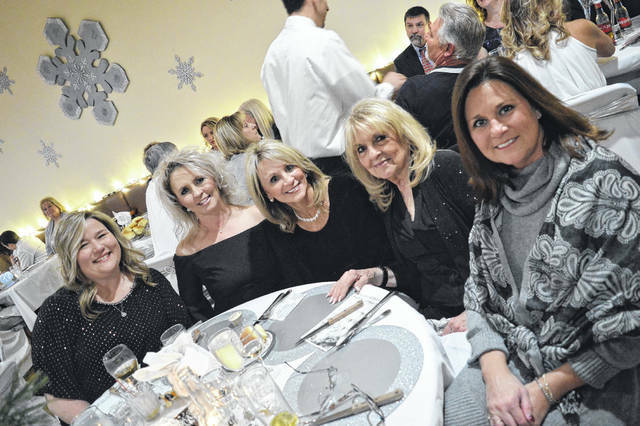 According to GIL Chairperson Shari Rocchi, she estimated the event raised between $11,000 to $12,000 for the organization’s holiday decorating efforts. 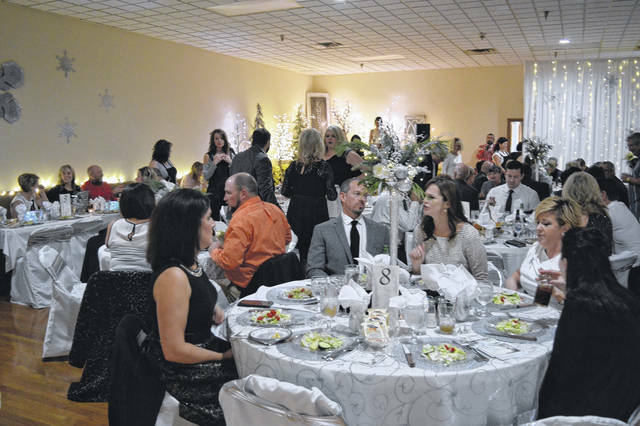 Elks Lodge 107 hosted the Gallipolis in Lights Gala Thursday.